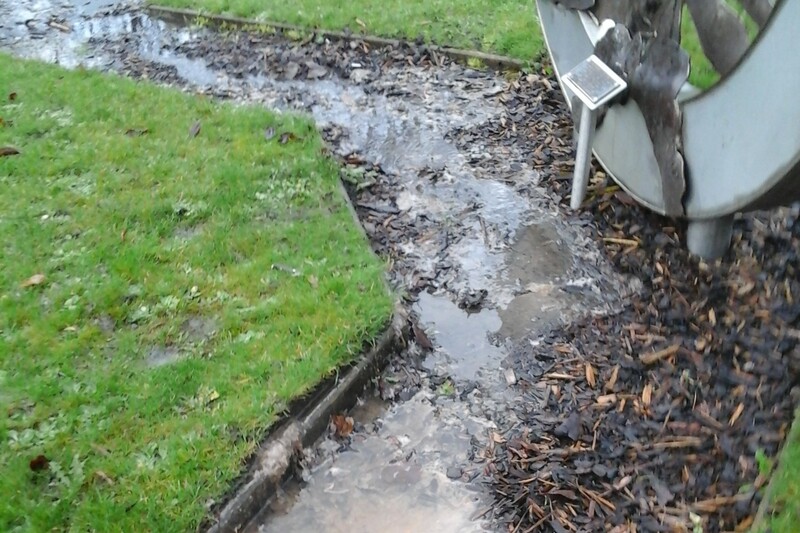 Members of the public are being asked to avoid Jubilee Park in Norden following a leak which is originating from a manhole under the grass. 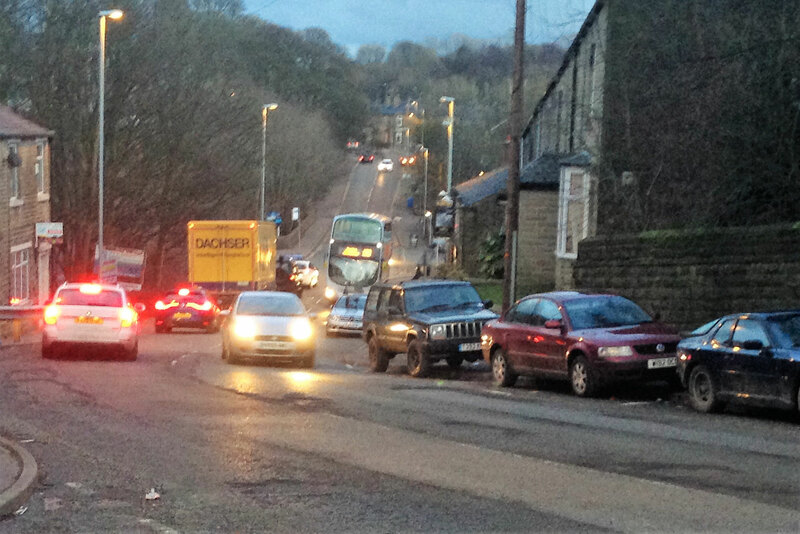 Norden's Councillors are to begin consultation on a village-wide traffic plan that will aim to solve some of the most commented-on issues faced by local residents. Norden's War Memorial Gardens have become home to a striking silhouette of a WW1 soldier this week. The figure is one of many which will be appearing right across the borough to mark the 100 year anniversary of the end of the First World War. 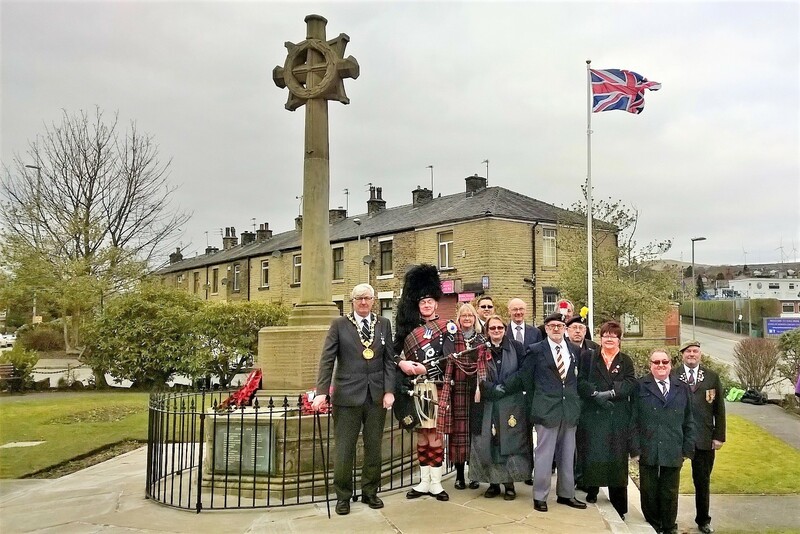 The Mayor and Mayoress of Rochdale joined Veterans, Councillors and local residents yesterday for an official event to mark the first flag raising in the Norden Memorial Gardens on Edenfield Road. 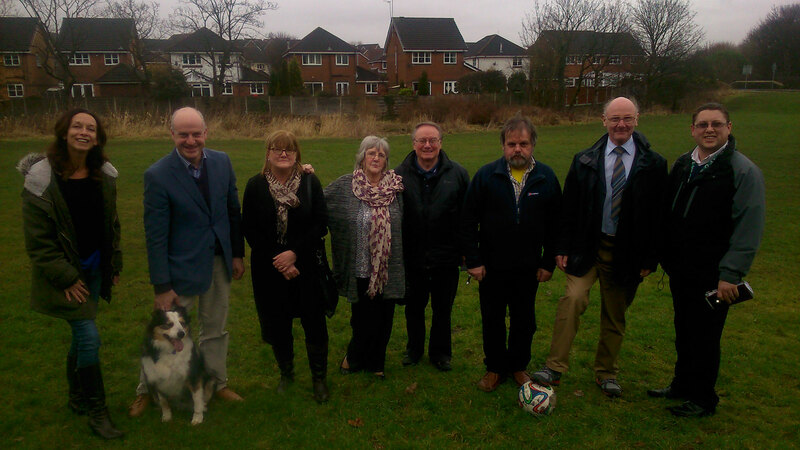 The story of Heritage Green takes another step forward today as residents and Local Councillors travel to meet with Cheshire East Council to see if a decision will be made as to the future of the site. 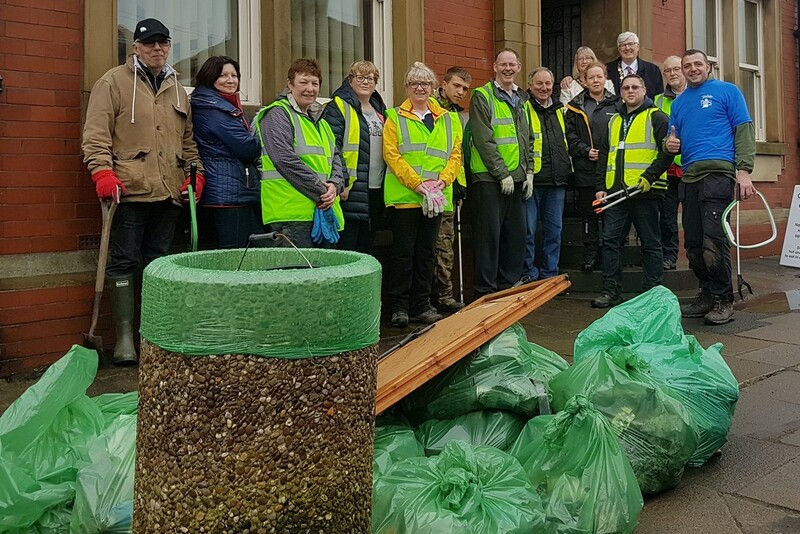 Residents, community groups, volunteers and Councillors combined forces in Norden today to take part in the Great British Spring Clean. 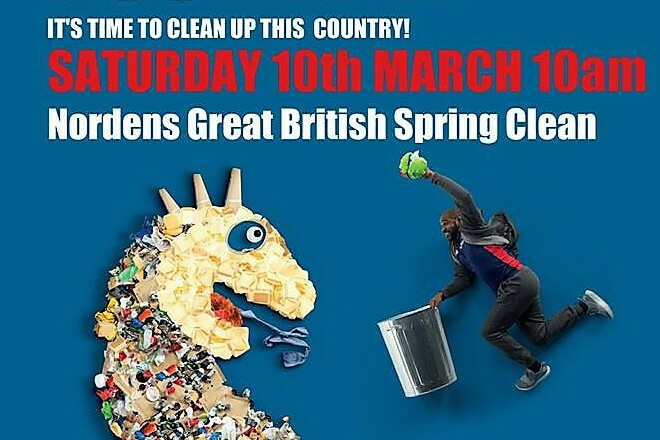 Will You Join Norden's Great British Spring Clean? 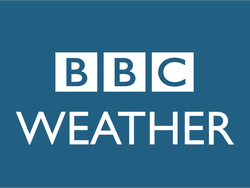 For the second year running Norden residents will take part in the Great British Spring Clean tomorrow (Saturday 10th March), after the event had to be postponed last weekend due to snow. 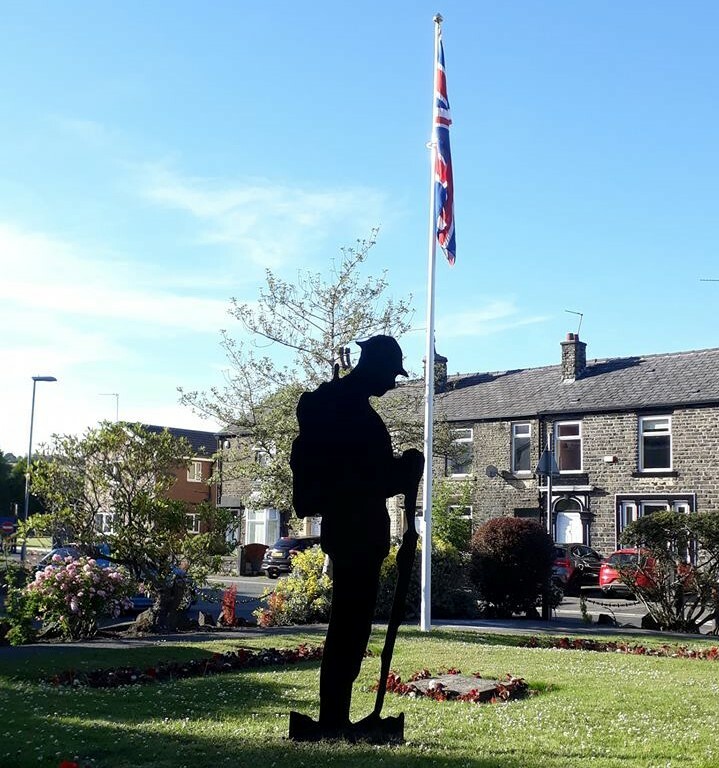 Residents may have noticed an exciting new addition at the Norden memorial gardens as they have passed through the village recently. 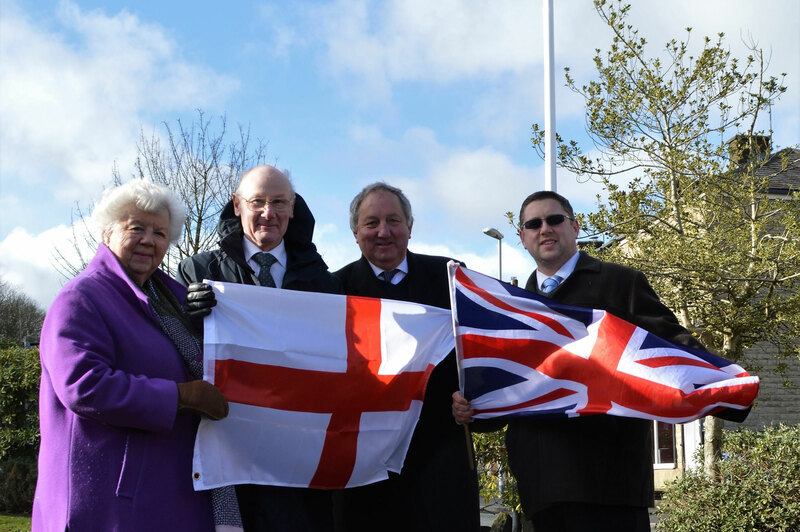 The site is now home to a flagpole which has been installed as part of improvement works to the gardens.